[Easy & Fast] Convert iPhone Songs to Ringtones - iMobie Inc.
Don't know how to convert iPhone songs to ringtones? 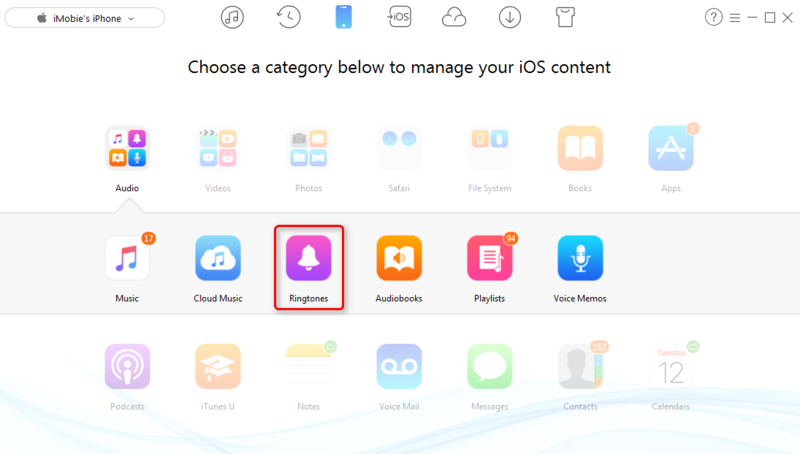 Read this guide and you will get two ways to convert iPhone songs to ringtones. 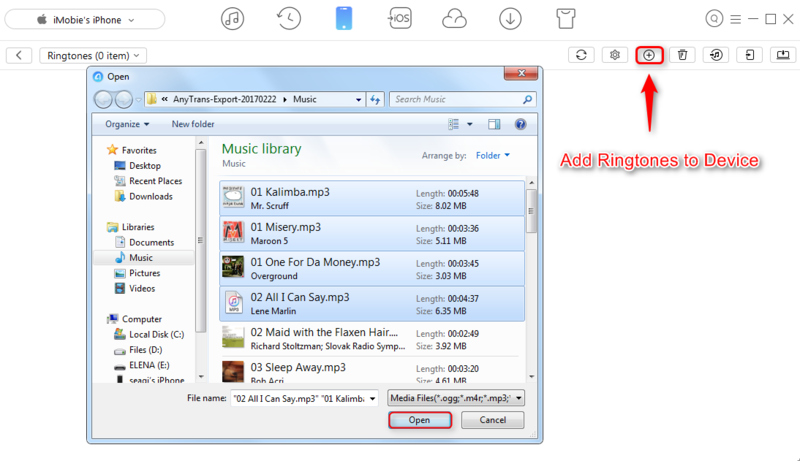 Download AnyTrans now and follow this guide to convert iPhone songs to ringtones with great ease. We all want something special, like customized ringtones. For Android users, it is pretty easy to convert songs to ringtones, what about converting iPhone songs to ringtones? Well, that's complicated. Apple did allow users to convert iPhone songs to ringtones with iTunes, but Apple wanted us to buy ringtones from iTunes more than converting iPhone songs to ringtones with iTunes, so it made converting songs to ringtones more complicated than it supposed to be. Besides, as many people may have noticed, the Tones icon is gone after updating to iTunes 12.7 for Apple has updated iTunes to focus on other contents, which means customizing ringtones is no longer supported in 12.7 or later version of iTunes. Then how to convert iPhone songs as ringtones? Here in this post, we will show you how to convert iPhone songs as ringtones after updating to iTunes 12.7. Just in case some of you might still have 12.7 earlier version of iTunes, we will also show you how to use iTunes 12.7 earlier version to convert iPhone songs as ringtones. AnyTrans is a professional iOS data transfer. While transferring songs to iPhone, it could convert songs to ringtones. Using AnyTrans to convert iPhone songs to ringtones is, first, easy to operate. AnyTrans has simple-designed interfaces so that users could never confuse. Besides, unlike iTunes, it will never erase any data while transferring data to iPhone, so no data loss would occur. 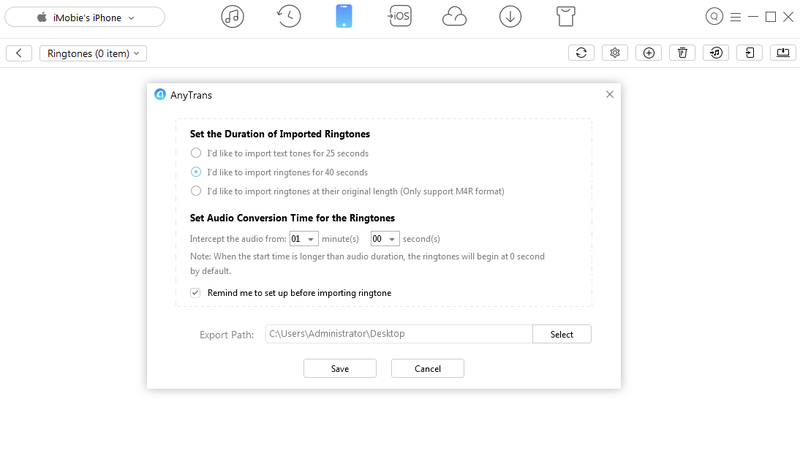 Now, let's get down to business to see how AnyTrans helps you convert iPhone songs to ringtones. Step 1. Free download AnyTrans and launch it on computer, then plug in your iPhone. Click iDevice tab on the upper left, scroll down or click the tab on your right, select Audio > Music. Step 2. 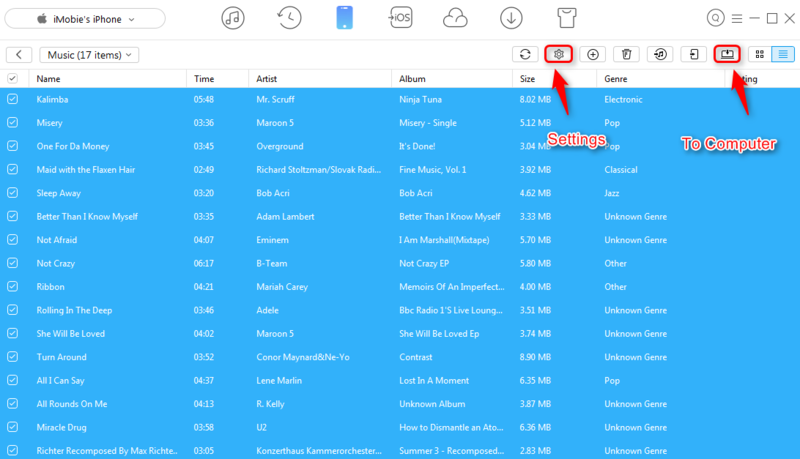 Choose the music you want to convert to ringtones, click on Settings tab to select an export path, then click on To Computer button. Step 3. Go back to the main page, select Audio again, click Ringtones. Step 4. Click the Settings tab, set the start time and ringtones length. Don't forget to click Save. Step 5. Click on Add Ringtones to iDevice button, select the songs you just exported to computer. Select OK. Songs in iPhone would soon be transferred to iPhone. 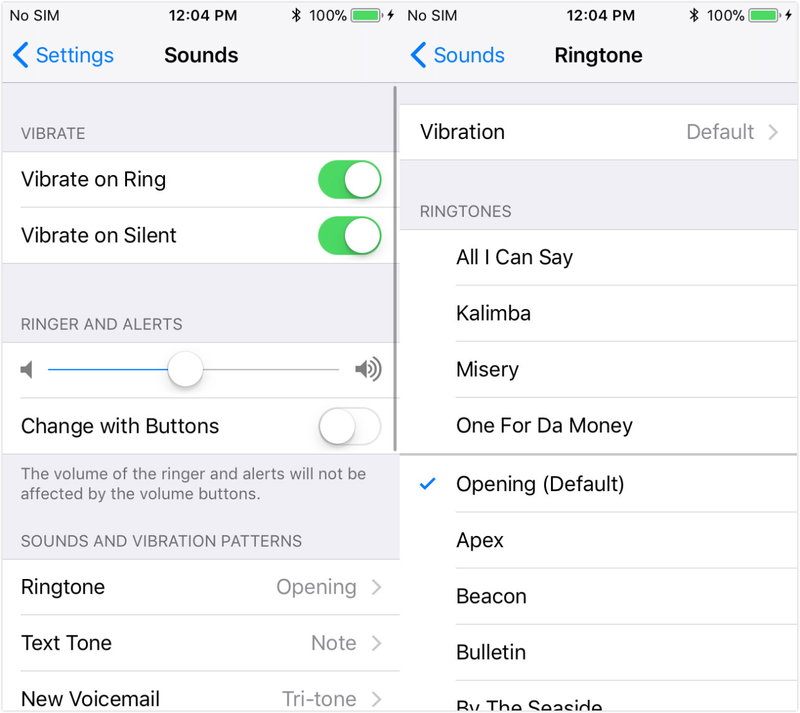 Now, you can set your favorite song as ringtones on iPhone. Step 1. Connect your iPhone to computer, copy music to computer. Open up iTunes if it doesn't pop out automatically. Step 2. 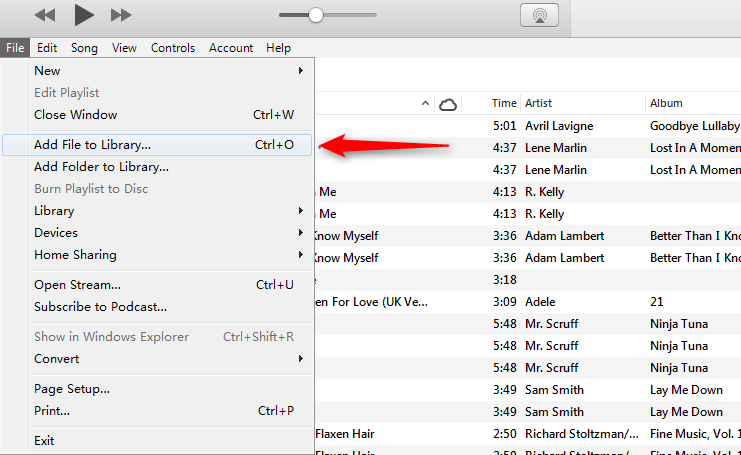 Go to File tab on the upper left, choose Add File to Library, then choose songs you want to convert to ringtones. Step 3. Right click the track of the song you want to convert to ringtone and hit Get Info. Under the Options tab, set start time and stop time, then click OK. Step 4. 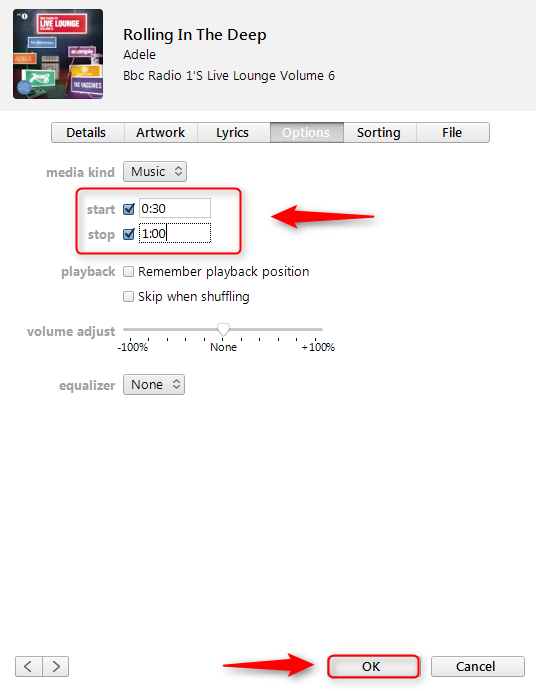 Click the songs and tap Files, then select "Convert Selection to AAC". 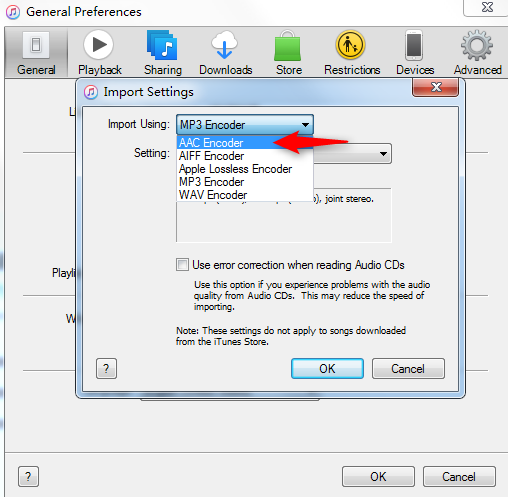 If it says "Convert Selection to MP3" or "Apple Lossless", you can go to iTunes Preference > General, hit Import Settings and switch it to AAC Encoder, then try again. Step 5. The newly converted ringtones should pop out in iTunes. Click "Show in Windows Explorer", change the extension of the file to .m4a or .m4r. Step 6. Go to File, click Add File to Library and navigate to .m4r. It will show up in the ringtones section of iTunes. The next time you sync your iPhone, your newly ringtones would be synced to iPhone. Above are two ways to convert iPhone songs to ringtones, if you prefer the easier way, AnyTrans is definitely your best choice. 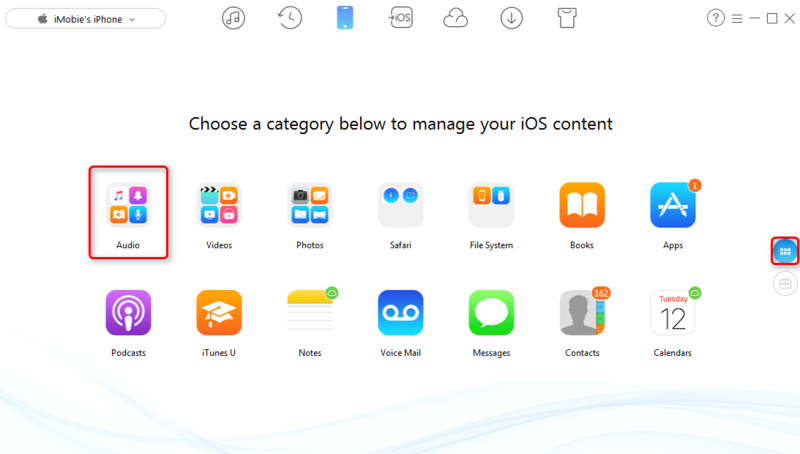 Frankly, AnyTrans can also help you more, like transferring data between iDevices, transferring data between iCloud accounts. Why don't you download it and have a seven-day free trial?